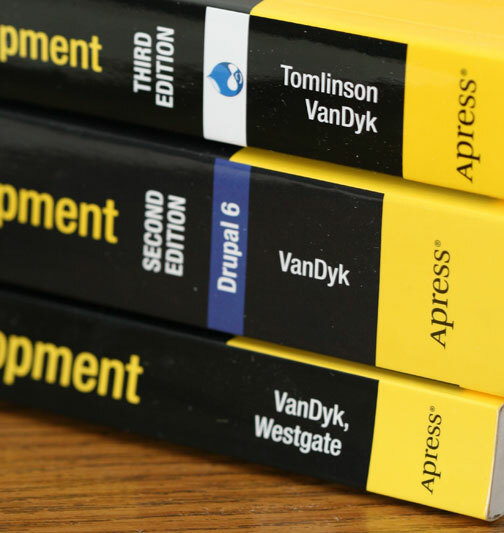 The author's copies of Pro Drupal 7 Development, Third Edition arrived today. This is the first edition in which I was not at all involved. In fact, I did not even get to see it until page proofs came out, at which point I corrected over 300 errors in the proofs over a weekend. 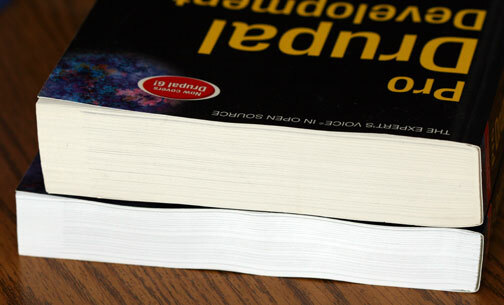 Although this book is thinner physically than the second edition, the pages are actually wider and there are more of them: 689 pages all told vs. 667 in the second edition. That's the third edition on the bottom in the picture below. 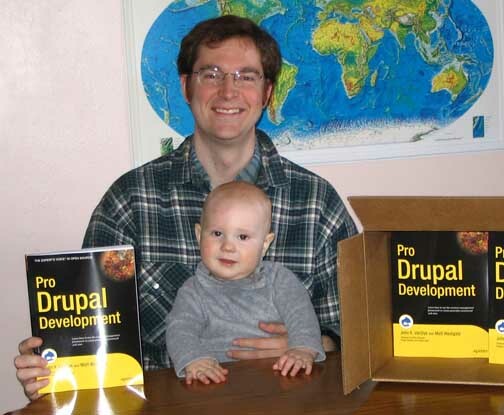 Here's the traditional picture of me and the little guy. Time flies! Permalink Submitted by adrinux (not verified) on Thu, 2011-01-13 16:08. Strangely you actually look younger as he gets older! Congrats on the latest version of 'Pro'. Permalink Submitted by Nick (not verified) on Thu, 2011-01-13 16:22. I thoroughly enjoyed reading the previous editions of the book. Can't wait to get my hands on the new one! Love those pics with your son too! Permalink Submitted by Scott Phillips (not verified) on Thu, 2011-01-13 17:28. It feels like the 2nd edition just came out. I'll have to go grab this one, too. Permalink Submitted by slantview (not verified) on Thu, 2011-01-13 21:54.
congrats john!!!! 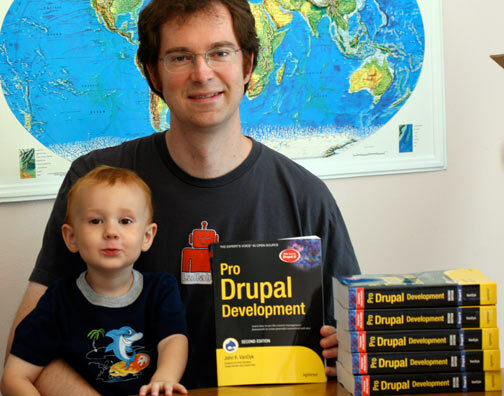 i always recommend this book to any new or experienced developer. 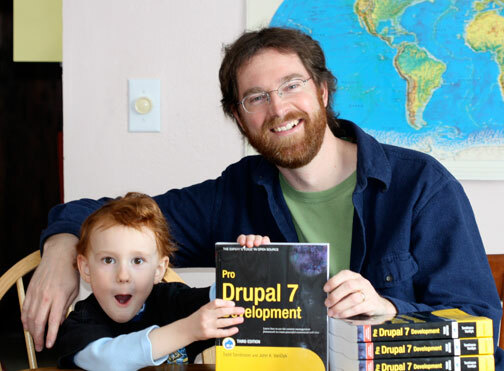 you are a huge benefit to the entire drupal community. Permalink Submitted by mru (not verified) on Fri, 2011-01-14 04:00. You are definitely getting younger John! Thanks for this gift! Just ordered my copy!